The first-round tie will be held at US Cellular Arena in Asheville, North Carolina. 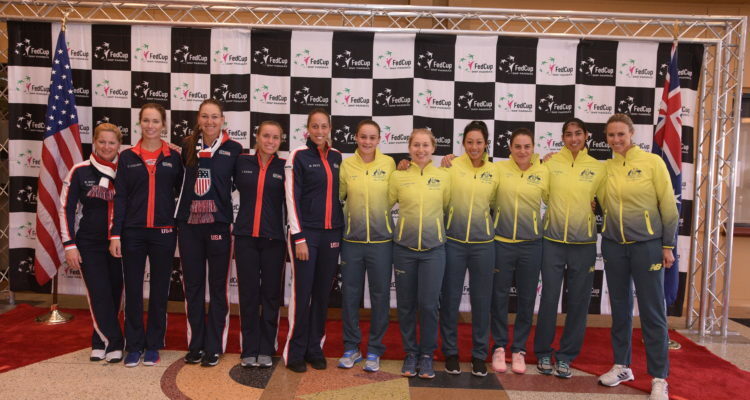 This weekend’s Fed Cup by BNP Paribas first-round tie between the United States and Australia at U.S. Cellular Center in Asheville, North Carolina, will feature a pair of Top 20 stars anchoring each team – No. 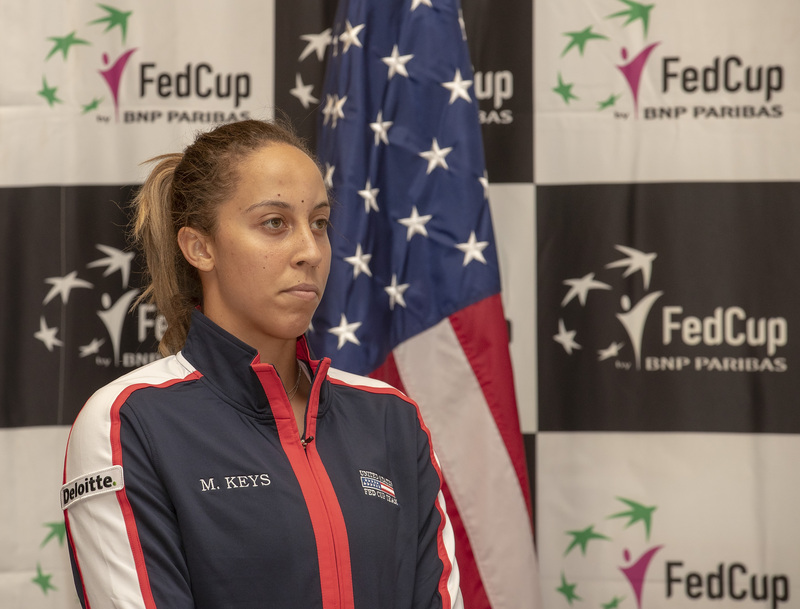 17 Madison Keys for the Americans and No. 13 Ashleigh Barty for the Aussies. It will also feature a pair of up-and-coming co-stars in supporting roles, in Sofia Kenin of the United States and Kim Birrell of Australia. Kenin, ranked No. 37, left a lasting impression during last November’s Fed Cup final against champion Czech Republic that earned the 20-year-old Floridian an opportunity to return and be a part of the 2019 team – and, hopefully, make an impact. Many will remember Kenin’s last match at the O2 Arena in Prague, in her Fed Cup debut, in which she lost a 3-hour, 45-minute epic battle to Katerina Siniakova, 7-5, 5-7, 7-5, which clinched the 2018 Fed Cup title for the Czechs. Indeed, with lessons learned from last year’s Fed Cup experience, Kenin will have the home crowd behind her this time when she faces the 22-year-old Barty in Saturday afternoon’s first rubber. “It’s going to help me. Hopefully I can take the win for Team USA,” said Kenin. Barty is coming off a remarkable quarterfinal run at last month’s Australian Open and was the first Australian female to advance that far at Melbourne in 10 years. Before that, she was a finalist at Sydney. In one previous head-to-head, Barty beat Kenin in straight sets on clay in Charleston, South Carolina, last year. Meanwhile, Keys, 23, the top-nominated American, will face newcomer Birrell, ranked No. 157, in Saturday’s second singles rubber. Both are coming off of good performances at Melbourne. Keys reached the fourth round of the Australian Open while the 20-year-old Birrell was a pleasant surprise in advancing to the third round with a quality win over Donna Vekic of Croatia before losing to World No. 2 Angelique Kerber of Germany in straight sets. Earlier this season, she beat Daria Kasatkina of Russia in Brisbane and followed it with a win over Kristina Mladenovic of France in Sydney. Keys and Birrell have never played each other. On Sunday, the reverse singles will pair Keys against Barty followed by Kenin versus Birrell. Nominated for doubles were Danielle Collins and Nicole Melichar for the United States and Barty and Daria Gavrilova for Australia. Rinaldi said that as soon as the 2018 Fed Cup ended last November, won by the Czech Republic 3-0 over the Americans, she was already preparing for this year. “I’m really excited to have these young ladies here with me,” she said. “We’re going to take it one match at a time, one tie at a time, and that’s all we can do. • Saturday’s first rubber is scheduled to begin at 1 p.m. Eastern Standard Time (6 p.m. GMT/London, 7 p.m. Central European, 5 a.m. AEDT Sunday). It is being broadcast by Tennis Channel in the United States and 9Gem in Australia. Live scoring of the tie will be available at fedcup.com. • The United States is 9-5 all-time versus Australia and won their last meeting, 4-0, in the 2016 World Group playoff on outdoor clay in Brisbane. The U.S.-Australia winner will advance to the Fed Cup semifinals on April 20-21 against the winner of this weekend’s tie between Germany and Belarus. • The Fed Cup returns to Asheville for the second straight year following last year’s U.S. 3-1 victory over the Netherlands in the first round. This entry was posted in Fed Cup and tagged Fed Cup, Madison Keys.